Many resources for learning a second language can be unengaging and repetitive, like learning foods and animals. The award-winning book Planet Zombielandia does the exact opposite of that and is hilarious, fun, and a valuable tool for reinforcing beginning vocabulary and reading comprehension. The story is available in both English and Spanish at beginning levels in print and digital and follows a zombie outbreak on earth. The book is genuinely funny and features quirky illustrations. Beginner-level students will be able to follow along with easy-to-read language as well as learn new vocabulary in a casual way. 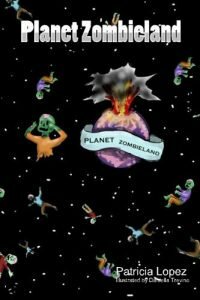 Planet Zombieland was unanimously selected for the Parent and Teacher Choice Award. This short reader teaches beginning language learners through story telling by use of high-frequency vocabulary. It’s highly recommended for any student school-age to adult who wants to learn English, Spanish or French.